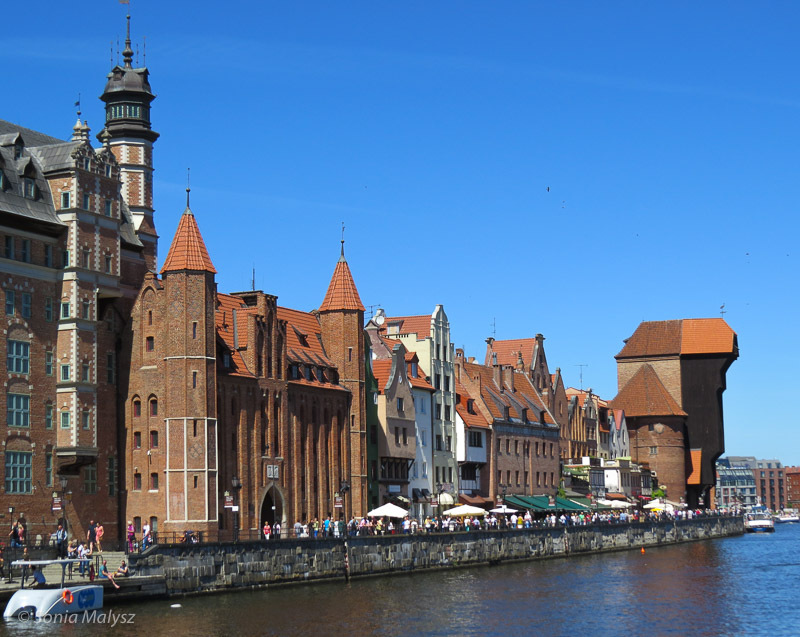 The Crane in Gdansk, Poland is the sight that identifies the city. Located at the side of the river, the crane was built in 14th century for the purpose of loading and off-loading cargo from the ships and to set masts for the vessels going to sea. It is a wooden structure which at one time was the tallest working crane in the world. Two huge wooden wheels, each with the diameter of 6 meters, operated the crane. The mechanism used human power to operate: men were walking inside the wheels to lift the crane. This system worked efficiently to lift 4 tonnes of cargo to the height of 11 meters. 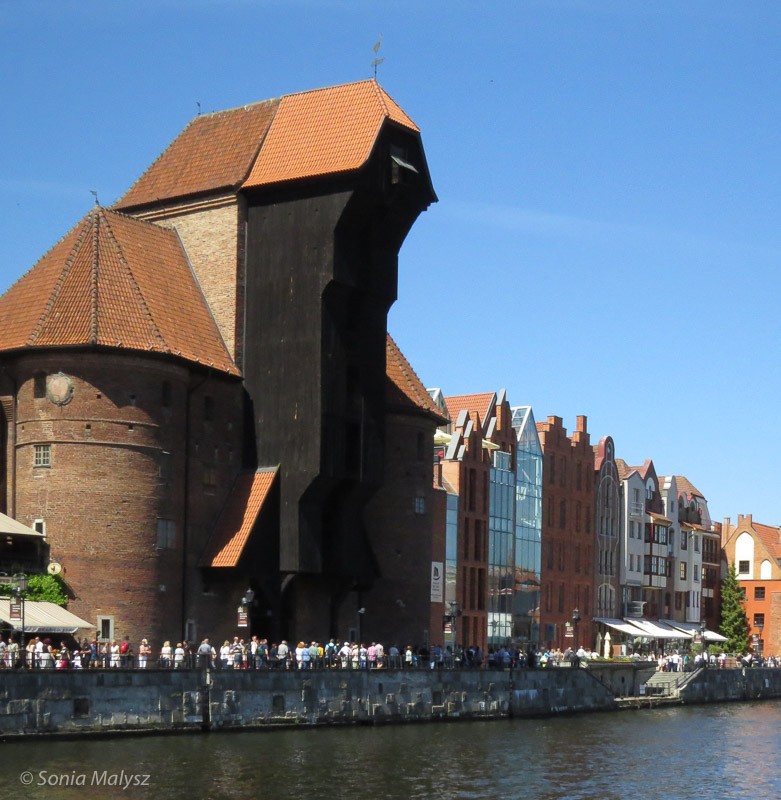 The crane was in operation until the middle of 19th century, when it was almost completely destroyed in WWII in the Battle of Gdansk. Today it is rebuilt and remains a museum. You can visit it inside and look up close at the huge wooden mechanism. It really makes an impression! Also my contribution to Cee’s Fun Foto Challenge. Yes. It makes an impression to see the huge wheels that move the crane and the height of the whole structure.